Based on reviews from 116 experts and 3,986 users. Learn how our rankings work or see our guide to On running shoes. Updated Apr 2019. On is a company that’s born out of the desire to break new ground in the world of running. The year was 2010, and three friends from Switzerland had their heads in the clouds on this new idea about making the running experience a much pleasant experience. Three-time duathlon world champion and multiple Ironman conqueror Olivier Bernhard sought a performance shoe that adheres to his expectations: well-supported foot-strikes and energized toe-offs. Caspar Coppetti and David Allemann joined Bernhard’s endeavor, officially inaugurating On in January of the same year. The highlight of this fateful beginning was the creation of a unique cushioning technology. Before that, a bevy of prototypes was designed and tested, yet the foundation of Bernhard’s vision remained: comfortable landings and enabled forefoot lifts. Many iterations later, On’s signature cushioning pods were born. Having an efficient running shoe isn’t the only goal of the brand; it also aims for eye-catching designs. On has some of the most visually unique offerings, though the looks don’t hinder functionality. The aesthetics just mesh with the performance-ready features. On’s trail running shoes don’t usually look like they’re for uneven terrains. In fact, their designs mimic their on-road counterparts. But such a configuration allows the wearer to just accommodate a trail-to-road transition. The uppers don’t have bulky layers or overly accentuated add-ons, while the platform assembly isn’t exclusive for the trails. The innovators at On have made the external pad of their trail shoes as traction-ready as possible. A rubber compound integrates with the unique CloudTec® cushioning design, thus giving a versatile performance. There are several different protrusions on the outsole, and they work together to deliver grip during a specific kind of action. There are opposite-facing arrows on the front and rear sections for upward and downward traversals. Diamond-shaped ones on the midfoot and forefoot are for slow treks and idle periods. The sides of the CloudTec® nodes have high-density rubber for additional protection. Finally, micro-lugs that take the shape of triangles offer steadiness on rocky ground. When combined, the traction elements allow many movement variations. They adapt to the nature of the topography and the movement of the runner’s foot. It’s worth noting that the outsole itself has a distinctive, cloud-like shape that heightens cushioning. The Speedboard is a midsole component that’s meant to support the foot’s natural rolling motion as it goes through the gait cycle. It’s flexible, yet it doesn’t make the platform flimsy. Moreover, the trail running shoes from On feature a more robust version of this technology. So, aside from smoothening the gait, it also shields the foot from abrasive debris and rough surfaces. A comfortable inner layer – This inner sleeve is made up of a soft fabric that engulfs the foot responsibly. It’s the one that prevents the runner from feeling destabilized from the shoe. It also serves as a wall that staves off debris infiltration. A breathable yet water-repellent exterior – Mesh serves as the outer layer. This material has a mostly close-weave design, but it has sections that are more open in construction. Such a structure permits environmental air to maintain a dry and well-ventilated experience. A durable water repellent coating or DWR wards off mild splashes and minor water exposure. The shoes that have this configuration are the On Cloudventure and the On Cloudventure Midtop. It is a lightweight material that’s made using sturdy textiles, one of which is nylon. It’s created to withstand tears. Having such a trait averts the potentially damaging nature of debris and harsh surfaces. Moreover, its durable build allows it to last long. The On Cloudventure Peak is the trail running shoe that uses this kind of fabric for its upper. This exterior add-on has the goal of protecting the toes from being hit by rocks, sharp edges, irregular surfaces, and other elements on the trails. While some of the On shoes have a synthetic print as its forefoot barrier, others feature a relatively sturdy rubber compound. This type of fabric graces the On Cloudventure Waterproof. Like its namesake, this material is able to stave off water infiltration entirely, thus maintaining a dry in-shoe experience. It’s lightweight, stretchy, and breathable. Furthermore, it’s not merely a coat that may wash out after a while; it’s an active membrane that only loses its efficacy if a deliberate tear is made on the upper. The Cloudventure series has a midtop version. It entails a raised collar that hugs the ankles and heel more. This structure is meant to support the foot more. It’s also intended to ward off rocks and small fragments of the trails, preserving the smooth and secure nature of the foot-chamber. Though several fabrics are used in the uppers of On’s offerings, one constant always stands out: the use of synthetic layers as overlays. These printed add-ons don’t make the façade look bulky. If there’s stitching involved, it’s only to reinforce them and not add any heft to the overall look of the shoe. Also, they connect directly to the lacing system, hence their capacity to fine-tune the tightness or looseness of the fit. Most, if not all, of the road running shoes from On have uppers that are optimized for comfort and consistent use. Open mesh design allows the foot to experience a cool and dry interior. Ventilation pores facilitate air circulation, thus keeping the runner as relaxed as possible. The breathable design also staves off sweat from getting retained in the foot-chamber. On has designed a new cushioning compound to deliver a lightweight underfoot experience. It is comprised of a full-length foam that doesn’t have a substantial mass. The top part is even and is responsible for carrying the foot; the base is formed into cloud elements that compress to attenuate shock, then spring back into shape to energize the toe-off. Running on the roads in low-light conditions may prove dangerous. So, being seen while training or exercising would be helpful, especially since vehicle drivers need to look at what’s in front of them to avoid any accidents. Thankfully, most On running footwear options have reflective strips on their uppers. They’re not inherently glossy, so they don’t mar the aesthetics of the whole package. Instead, they only reflect light when it directly in front of them and when it’s dark. Some of the selections that have such a feature include the On Cloudrush and the On Cloudsurfer. The running shoes from On are designed to provide guaranteed performance over the surfaces. They’re also meant to ensure comfort and security during each activity. But how can you determine which model is the best among the brand’s offerings? How will you know if a particular On shoe is right for you? 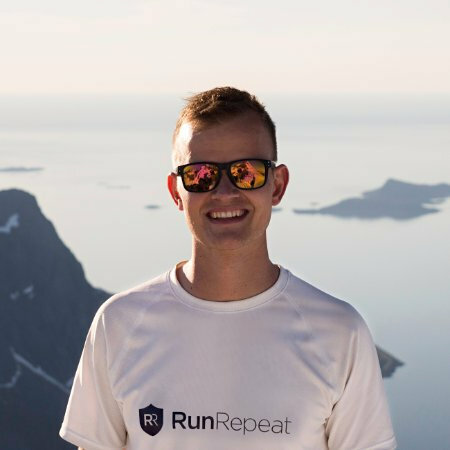 Runrepeat had taken the liberty to extract pertinent information—facts, expert reviews, user feedback—from various sources on the internet, including On’s website. It is relevant to aggregate data to get the most agreeable pool of knowledge. User and expert feedback are essential factors in determining the popularity and functionality of a running shoe. The RunRepeat CoreScore is an indicator of such an occurrence, and it may help you when it comes to choosing the right On running shoe for you. On Cloudflash - The On Cloudflash is a running shoe that’s designed for competitions. Such a distinction means that it has a lightweight and flexible build that’s great for racing, interval training, and tempo running sessions. It makes use of an ultra-thin mesh upper for breathability, a performance heel-cap for optimum lockdown, and a Pebax® Speedboard for efficient toe-offs. Many consumers felt that its insubstantial construction allowed speedier performances, while others liked the comfortable underfoot experience. But some people noted that its high price made it more of a premium shoe for serious racers. On Cloudflow - Runners who are pining for responsive performance in a light package might appreciate what the Cloudflow has to offer. It features 18 cloud elements to bolster its cushioning capability. It also has a cloth-like upper unit, with engineered mesh comprising its exterior and an inbuilt sock as its interior sleeve. A flexible yet supportive Speedboard allows the foot to transition smoothly through the gait cycle. Regarding user response, the Cloudflow was welcomed because of its efficient components, its non-bulky design, the eye-catching colorways, and the user-friendly performance. On the other hand, it was observed that rocks kept getting lodged in the holes of the cloud elements. On Cloud - The Cloud is one of On’s precursor models. It’s designed for everyday use. It makes use of a breathable mesh cover, a single-pull lacing system, a dual-density sock liner, form-fitting interior construction. These elements work together to provide a consistent running experience. The tagline for this model is ‘Never Not On,’ which alludes to the urban lifestyle of running shoe enthusiasts. Most people were happy with the On Cloud. They liked its street-ready design and accommodating fit. Moreover, the CloudTec® elements gained the favor of consumers since they’re deemed to be responsive and comfortable. On Cloudflyer - Mild overpronators rejoice! The Cloudflyer is On’s contribution to those who want a more stable underfoot experience. It features more cushioning that most of the company’s roster, but it’s not too thick or cumbersome. It still upholds the brand’s commitment to deliver a lightweight package that packs a lot of performance. Consumers heartily welcomed the Cloudflyer. They emphasized that it offered a perfect fit, smooth heel-to-toe transitions, and versatile performance. But some testers warned about poor traction on wet conditions, as well as inconsistent durability. On Cloudsurfer - The Cloudsurfer is a versatile running shoe that can work well during daily training sessions and mid-distance competitions. This neutral shoe is also designed for all types of runners, from neophytes to experts. It makes use of a breathable cover system, a sock-like interior, a high-grade EVA midsole, and traction-ready cloud elements. Those who have tried the On Cloudsurfer were happy with the sole unit’s blend of cushioning and grip, stating that it allowed them to perform more efficiently. They also liked the sock-like interior sleeve which apparently prevented hot spots and blistering. The On brand has always strived to deliver a comfortable running experience. The creative minds in their offices have devised a way to responsibly attenuate impact during the landing phase, carry the foot through each step, and assist in toeing off the ground. After several prototypes, the CloudTec® technology was finalized, and the end-product looks vastly unique. In fact, this cushioning system became quite the revelation in the world of running. The world turned its head towards Switzerland’s newest running shoe innovators. CloudTec® is firstly an underfoot cushioning feature. Its primary directives are to carry the foot and mitigate impact shock. It’s made up of ‘cloud elements,’ individual nodes that are work in concert with the full-length platform. These ‘clouds’ pockmark the entire shoe. They’re visible, and they come in contact with the ground. One might even mistake them as the grip-ready units. And they’re not entirely wrong. The base of each ‘cloud’ is exposed to the surface beneath it. It’s part of the design. Directly hitting the ground allows it to react more, thus maximizing its capacity to dole out its purpose. But it’s not just about cushioning the foot, it’s also about gaining control over the topography. This iteration of the CloudTec® technology is made up of a full-length foam that has the ‘cloud elements’ as its base. All of it is made of a cushioning material which means that immediate underfoot support and all the bells and whistles of the individual nodes are done by only one cohesive compound. Though the foam base is exposed to the ground, ready to take on the rough surfaces, the heel and forefoot sections are covered by rubber. Such an add-on staves off wear and tear, thereby preserving the structural integrity of the platform. This material configuration started it all. On used a foam midsole to serve as the primary mitigating unit, but it’s a separate entity to the ‘cloud elements.’ The actual CloutTec® layer is literally an independent part, acting as the traditional outsole unit. Also, it’s made of an abrasion-resistant rubber. It has grooves and patterns on it to encourage more grip. And even though it’s made of rubber, which is usually not for cushioning, the pillow-like design of each node heightens cushioning. Unpredictability is one of the inherent traits of the trails. One can’t assume that every surface on the great outdoors is able to cater to expectations. It is for that exact reason that the micro-engineered Grip-Rubber was crafted. It offers versatile traction, even though it’s just made of a single layout. This sticky rubber compound has several types of traction nodes, each doling out a specific purpose. The arrow-shaped ones on the forefoot and heel are for uphill and downhill traversals. A diamond-patterned set in the middle is for steadiness when standing or walking. High-density perimeters heighten durability, while triangle-shaped micro-lugs deliver all-around traction in any condition. How does On stack up to the big running shoe brands? On is a relatively fresh brand. It was only brought to life in the year 2010, so it’s still making its strides on the market. It has offices and distributors, but its central base is still in Switzerland. But rising popularity and consistency in performance has made On running shoes some of the most desired products. Right now, you can get a pair from over 3,500 sports stores and shoe shops across the globe. It’s a mark of the company’s dedication to the art of making performance footwear that’s competent and capable. The Swiss-engineered cushioning technology that is the CloudTec® was considered to be revolutionary by many consumers and reviewers. Initially judged as a midsole gimmick, the cloud elements have since become well-respected. March of 2014 saw On ranking high on Runner’s World Magazine’s list of the 20 most significant running products in Britain, Germany and the United States of America. It is clear that this brand is not to be trifled with. People have even won competitions wearing On shoes, and that includes Frederik Van Lierde of Belgium and Switzerland’s own Nicola Spirig. These athletes saw potential in this fledgling company and its unique shoe-configuration. They ended up succeeding in their respective challenges. Checking out the brand’s history in their website would yield pertinent and exciting info, though the timeline is still naturally short. With only 8 years in its belt as of 2018, it still has a lot of fascinating leaps to do. But these past few years didn’t become idle time, because On was consistently hard at work with its innovative features and options. The phrase ‘Running on clouds’ has been used by a lot of people, especially when it comes to describing the midsole platforms of different shoes from different brands. This expression represents the feeling of standing on a cushioning system that is soft, responsive and flexible. The underfoot experience has been compared to the exact fluffy disposition of a cloud. Many midsole technologies have received quite the distinction. Yes, ‘running on clouds’ is feedback that is optimistic. Runners who write such a phrase about their running shoes are most likely happy with them. Some of the best running shoes from the world’s top brands like Nike and Adidas feature midsoles that have been described as agreeably responsive. On founder, Olivier Bernhard wanted a running shoe that would help him get a performance that is amazing. What he meant was that he desired well-cushioned foot-strikes and invigorated toe-offs. So, he set out to make such a product. The CloudTec® cushioning system was a part of Bernhard’s vision from the start. There were many archetypes and countless designs but, in the end, those pillow-like nodes won. The bonus was that the round shape of these impact-mitigating elements resembled clouds. And with that, On became a proud user of the phrase “Running on clouds,” plastering it at the top of their technologies page. Which On running shoe is the best one for me? On has a variety of options on its roster. The shoes are even categorized into activities or goals. The purpose of this grouping is to filter the choices and to make sure that they’re able to follow the needs of the runner. Active - The first grouping is described as the ones that are for all running goals. The shoes in the ‘Active’ group are companions for daily running sessions. They’re lightweight and versatile as they’re able to function on a variety of pursuits such as jogging, speed training, and gym workouts. The models that are part of this collection are the On Cloud and the On Cloud X. Stability – The running shoes that are in this set are meant to support the foot throughout the gait cycle. The underfoot platforms are stable and secure. Mild overpronators may find value from such designs because their arches tend to deviate inward when taking each step. The hallmarks of the On ‘Stability’ shoe are a supportive heel cover, extra underfoot cushioning, and a supportive Speedboard. The Cloudflyer, Cloudace, and the trail-optimized Cloudventure Midtop are the shoes of this category. Performance – Being able to run at your best is a satisfying feeling. That’s why this group of shoes is aimed at consumers who what to take on their personal records, training sessions, and speedy endeavors. Think of this option as the one that’s meant to maintain and improve on the running output. Some of the shoes that are in this category are the Cloudrush, the Cloudventure and its waterproof iteration, the Cloudsurfer, and the Cloudflow. Race – True to its name, this class contains choices that are for racing. These activities can be long and intensive, so lightweight shoes are amenable companions for such events. It’s no coincidence that the Cloudflash, Cloudrush, and Cloudflow are some of On’s most lightweight selections. Trail – Runners who want shoes that are optimized for the off-road paths are going to find them in this class. All trail running shoes from On are part of the family, the Cloudventure. They feature traction-ready cloud elements, a protective yet supportive Speedboard, and a robust upper construction. Optimum breathability is offered by the original Cloudventure model. The Cloudventure Waterproof heightens confidence in wet conditions. The Cloudventure Midtop provides ankle support and protection from loose gravel. Off-road competitions are the specialty of the Cloudventure Peak. Are On running footwear durable? On shoes are made using high-quality materials. It’s the Swiss company’s commitment to delivering products that are robust in construction. Material reinforcement has always been at the forefront when it comes to extending the life of a shoe. Rubber layers shield against surface abrasion, while overlays bolster the structural integrity of the upper. But it’s not just about the construction of the shoe. Wear and tear are also associated with the runner and how it’s used. Factors such as the person’s running technique, the dimensions of their feet, and their weight may affect the rate of wear. Yes, all shoes break down eventually. How you care for your pair would ultimately determine the health of your finances. After all, wrecked footwear mean purchasing new ones. Running shoes typically last for 400 to 600 miles. That’s the time when the materials would give in. The rubber outsole may nearly be erased, the midsole foam may not be very supportive, and the upper may show loose threading. These occurrences may affect your overall comfort and performance. Do On shoes work for those who have a heavy body weight? It is a known fact that if more weight is placed on a cushioning unit, the more strained it becomes. It won’t be able to deliver on the intended mitigating quality for which it was crafted. But On had created several iterations of their innovative cushioning method, and the one that may be more supportive of a weighty body is the Zero-Gravity foam. This material is wholly made of foam, from its direct underfoot platform to its cloud elements. The brand recommends the Cloudflyer for heavyset runners because, aside from having the Zero-Gravity foam, it also has a secure heel design for stability and a dual-density sock liner for extra underfoot comfort. Which surfaces are most agreeable for On running shoes? On running shoes are designed for a variety of surfaces, but there are many categories, and some of the options are even optimized for a particular type of terrain. Trail running is an activity that encourages a traction-ready outsole design. Gripping lugs are present because they constitute balance on the unpredictable ground makeup. On has a specific lineup of shoes that are meant for the off-road paths. The series is called Cloudventure, and the products that are in it are configured to handle the rough environments. On the other hand, road running involves a more even surface. The brand also has shoes that feature a more road-ready sole unit. Traction is still a vital trait, so rubber exteriors are still essential. On shoes are advertised as options for running. Can I still wear them for casual walking or hiking? The brand designed the CloudTec® cushioning technology for running. The responsive cloud elements are meant to facilitate a smooth heel-to-toe transition during the run. But they’re not exclusively meant just for fast-paced movement; they can support the weight of the runner when standing idly or when walking. What are the recommendations when taking care of my On shoes? It is generally advised to wash your pair of shoes infrequently. You should only do a thorough washing if they are caked in mud or splashed with a staining agent. Strong detergent isn’t recommended as it can wash off the colors of the shoe or weaken the structure of the materials. If possible, only use water and a washcloth. If you need to remove stains and odor, you can use small amounts of a mild detergent that’s mixed in water. Thoroughly scrubbing the dirt away isn’t the right way to maintain the health of the shoe’s materials, so use a soft-bristled toothbrush or a non-abrasive cloth. When drying your shoes, don’t put it directly under sunlight as it may cause the components to shrivel up, notably the midsole. Just air dry your shoes, making sure to expose the interior chamber to a fan or the outdoor breeze. It also helps to separate the shoelaces to allow them to dry up separately. There are unique cleaning materials for shoes. Most footwear-specific cleaning liquids aren’t filled with harsh chemicals while some of them are even home-made. When it comes to the cleaning cloth, the one that’s best is a smooth one, like the quick-absorbing microfiber variant. Cleaning your On shoes isn’t an arduous affair, especially if you don’t allow it to be.